The Office set. 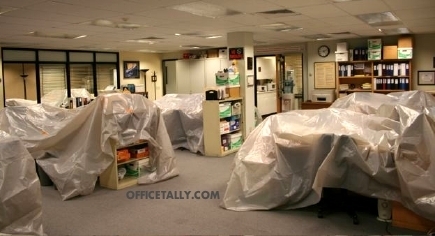 This picture was taken after the show was shut down in November.. Wallpaper and background images in the The Office club tagged: the office photo set. Poor Toby: Cursed by Overzealous Writing?